Armies of robots, crushed starships, gigantic monsters, unknown races, brave assaults, desperate rescues, audacious sabotages... the galaxy needs your command. Lead your troops in 21 campaign missions across three different worlds. Get ready to launch bold attacks, hold your ground, rescue civilians, hack supercomputers and all kind of heroic stuff. Each mission requires new tactics and actions to achieve victory. Test your wit on 17 Special Operations with their own combat rules and no mercy at all. Each stage a challenge to remember, with scars to prove it. We dare you. 14 Heroes with outstanding powers at your command. Train them to their full awesomeness or annoy them at your own risk. I would first like to preface the review with the fact that I have beaten every single level in Iron Marines with Taggins, the first hero, on impossible difficulty without using any consumables and only a few of the levels I thought were very hard but I was still able to do it. I have a history of playing RTS games like Starcraft2 and Total War Warhammer and this game carries a similar theme. It's not gonna hold your hand as you shut off your brain and play through for fun. You are going to have to think, practice and plan in advance or else you will not succeed. That is not something for everyone mind you but if you enjoy that type of experience Iron Marines is very rewarding. With a decently large sized roster of units and a large skill tree it's gives you a lot of room to experiment. Visually it's fantastic, just as you would expect with any of the titles by Iron Hide and it has many many silly little Easter eggs to be found (something I always appreciated the amount of effort they put into in every one of there games). The sound design is great too as the characters and units never get annoying with a varied pool of quotes when you move them over and over and all the weapons and enemy units sound great too. Over all the experience was great it was fairly easy to pick up, played and looked great, was challenging if you wanted to really challenge yourself, and rewarding to finally complete. Great game. Ignore reviews of difficulty. I have been a gamer since the early days of Atari, this is a fantastic game from iron hide studios. For five dollars you get a graphically rich incredible take on real-time strategy and tower defense rolled into one. Folks who are having trouble with the difficulty are probably not used to having to grind out levels or adjust strategy in wave driven games. This is absolutely necessary in a game like this. If you enjoy that sort of thing that this game is for you, if you want something that is not occasionally challenging and doesn't require you to adjust your strategy in order to win, then look elsewhere. Yes it is easier if you are able to purchase the higher level heroes, but it's more than possible to grind out boards in order to get all of the resources you need without having to pay for anything. I myself don't mind paying for the higher-level heroes, one because good game makers are in such rare supply on the App Store these days, and two I remember all too clearly what it was like to pay $80 for a 16 bit game on the Super Nintendo. The gameplay is fine even in a repetitive fashion, the graphics are incredible, there are Easter eggs everywhere and the sound is fantastic. All the things we come to expect from iron hide studios. 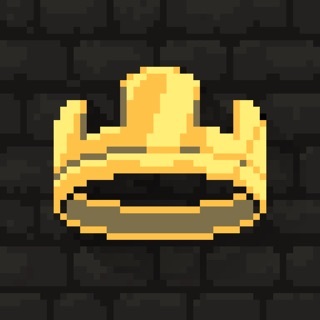 I happened upon this while replaying the original Kingdom Rush, and I look forward to the continuation of that series as well. Great game, albeit a bit short. 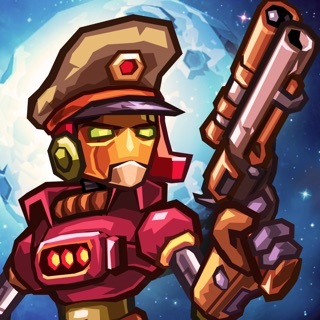 Iron Marines is one of the best games I've played via iOS and the best RTS on mobile. I've played hundreds and hundreds of games of all genres on my iPad, and this one is right up there with the best of them. I do have a few minor gripes, but for the most part I'm a happy customer. I didn't find the game too difficult. A few of the levels were tough, but starring up my hero made them doable. I'd rather a game be more on the difficult side anyway. Who wants a game of this caliber to be completed in an evening or two? This is a well crafted experience and do wish it were longer. That brings me to my only gripes about the game: As I said, the game as it is is far too short. But it looks like more planets will be added at a future date. A few more units would be nice (expansion pack possibly?). The game also needs a multiplayer mode. What's an RTS without multiplayer? Maybe it's in the works and I just haven't done my homework. And lastly, (and this is a very minor gripe) I wish the color palette would change from time to time and give the cute, neon hues a small break. In conclusion, this is a great game overall. It's got terrific gameplay, art style, humor and music. Do yourself a favor and pick this one up. It's worth the price and a whole lot of fun besides.